At just 19 years old, Duman left Australia to join the Islamic State. She married fellow Melbournian ISIS fighter Mahmoud Abdullatif and gave birth to two children. She continued her support of the Islamists after Abdullatif’s death and maintained an active online presence where she promoted ISIS, made threats against Australia, and attempted to recruit others to the caliphate. I want to go back to my country … I am an Australian citizen … Both of my kids are sick. My kids have a right at least to be treated like normal kids. The Morrison government has vowed that Australia would not expend any resources or offer any assistance in bringing Australian ISIS supporters such as Duman back. In fact, under current legislation it is possible for the Australian government to strip someone of their citizenship, and hence remove Australia’s responsibility, for anyone who holds dual nationality. According to members of Duman’s family, she holds Turkish citizenship, so it is quite possible that the government could strip her of her Australian rights. Additionally, the government has introduced Temporary Exclusion Orders. These orders would prevent Australians involved in terrorism overseas from legally returning to Australia for up to two years and sets specific conditions for their return. Because of the risk ISIS supporters pose, Home Affairs Minister Peter Dutton has previously said it is “vital for our national security that we deal with Australians who travelled to the conflict zone in Iraq and Syria as far from our shores as possible”. Indeed, the return of ISIS supporters do pose significant risks. Women such as Duman are often labelled as “jihadi brides”, women attracted to, or groomed by, bad boy Muslim extremists, or presented as cloistered and oppressed by ISIS and confined at home bearing children, with little role in the violence. Despite its violently misogynistic actions, ISIS was, ironically, extremely progressive when it came to the role of its own women in jihad. However, the role of women in ISIS went far beyond these two assumptions. Despite its violently misogynistic actions, ISIS was, ironically, extremely progressive when it came to the role of its own women in jihad. It understood and effectively harnessed the power of women’s roles as wives, mothers, and recruiters for the long-term survival of the organisation. Women played a greater role in violent operations and enforcing the draconian rules of the caliphate than has been previously understood. Women served as police, intelligence operatives, plotters, and as combat fighters and suicide bombers. The most recent footage coming out of Beghouz, the last remaining pocket of the caliphate, shows women fighting alongside men as they make a last stand. 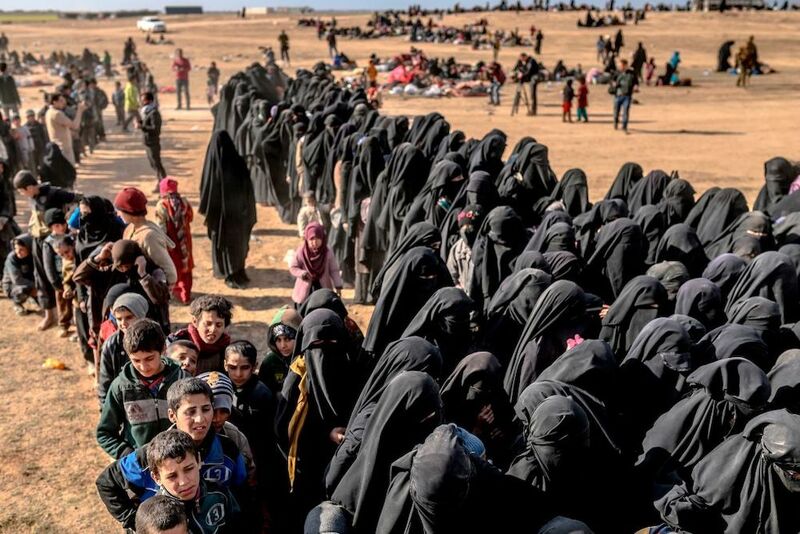 ISIS also considers the cohort of women and children that are currently residing camps as essential to its future survival. There is a possibility that they have been directed to carry out external operations. They also have a vital role to give birth to and indoctrinate the next generation of jihadists. It can be difficult, though not impossible, to successfully prosecute individuals such as Duman because of issues relating to sufficient admissible evidence, chain of custody questions, and appropriate charges. If she is tried and convicted for terrorism related offences there is still the risk that she could remain radicalised and hence radicalise others, both in and outside of prison. It would take a lot of precious government resources to monitor and attempt to rehabilitate an individual such as Duman, without any guarantee of success. It makes sense to want to keep these women at arm’s length. But leaving Duman and others like her to fester in refugee camps or be handed over to the already overwhelmed and inadequate Iraqi criminal system carries its own set of risks. And we only have to look to recent history to grasp the risks of stripping citizenship. One should remember that many of the founders of al-Qaeda such as Osama bin Laden and Ayman al Zawahiri were stripped of their respective Saudi and Egyptian citizenships. This only led to forming al-Qaeda in lawless Afghanistan. They remained outside the reach of their country’s laws, but not so far removed that they didn’t carry numerous successful attacks against Egypt, Saudi Arabia, Europe and the United States. We cannot have public servants making these decisions without due process and these matters being heard by courts. The argument of those in favour of stripping citizenship is that citizenship is a two-way street ­– one not only of rights but of obligations as well. If a person is treasonous and calls for attacks against their own country, that person abrogates the responsibilities to their country, and is therefore no longer entitled to the rights. But responsibility in this context is multi-faceted. It is not only a matter of what responsibility and loyalty a citizen may have to their state. The state also has responsibilities to its citizens. If a citizen abrogates their responsibilities and commits offences, then they should be held to account by their country of citizenship via the courts. A state or government also has an obligation to administer justice and punishment in order to maintain its legitimacy and monopoly on the use of force, two factors that make up the foundation of our collective safety. A state also has responsibility to be a responsible actor in the international community. Jihadist terrorism is a global problem. The 40,000 foreign fighters that travelled from all corners of the globe to the caliphate in 2014 is indicative of just how global a phenomenon jihad is. Countries, such as Australia, with robust legal systems, protocols and security resources have an obligation to prosecute and rehabilitate its own citizens. Despite the difficulties in prosecuting and convicting foreign fighters, Australia has better resources and capacity to convict and to continue to monitor them than do Iraq, Syria, or the Kurdish-led Syrian Democratic Forces. Additionally, by stripping the citizenship of ISIS supporters such as Duman, and blocking or delaying their return to their home countries, may inadvertently accept and promote the ISIS narrative that nation states are illegitimate, that national identity does not matter, and that the caliphate is only true and just polity for Muslims. Often times in matters of national security, there is no good option. Rather it comes down to a choice between bad and worse. Despite the risks that female ISIS supporters such Duman pose upon their return to Australian soil, on balance, it is more appropriate to facilitate their return where they can be tried, convicted, monitored and potentially rehabilitated.